On Friday, June 8th SLUG Magazine is hosting the first ever all-ages Localized at Kilby Court. The show will feature Kid Theodore, The Lionelle and opener Paul Jacobson. Door are at six, music starts at seven and it will end early enough that anyone over 21 will be able to attend the regular Localized at Urban Lounge. Kid Theodore’s influences are quite eclectic, and with nearly every member of the band being a multi-instrumentalist, each song is distinct and has its own personality. 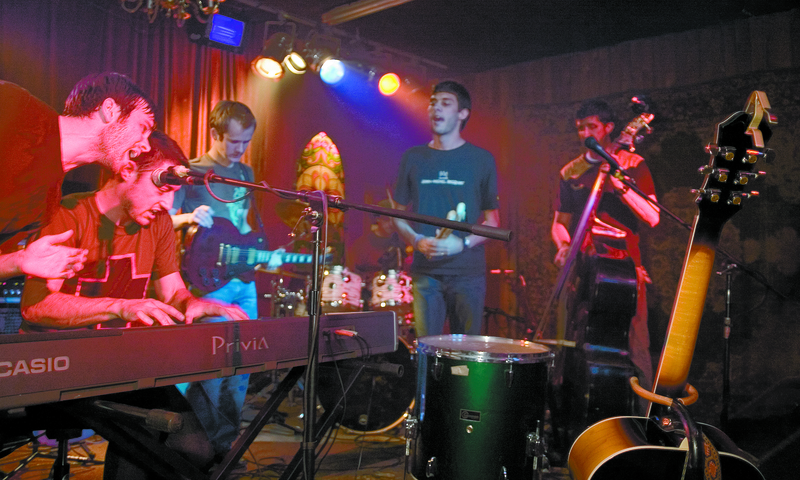 Ryan Darton said that every Kid Theodore song starts with one person writing it, “Then everyone else jumps on it and turns it into something new.” Kid Theodore’s instrumentation also sets them apart from the pack, as they use an upright bass and make liberal use of various types of percussion from cookie sheets to hand-claps. 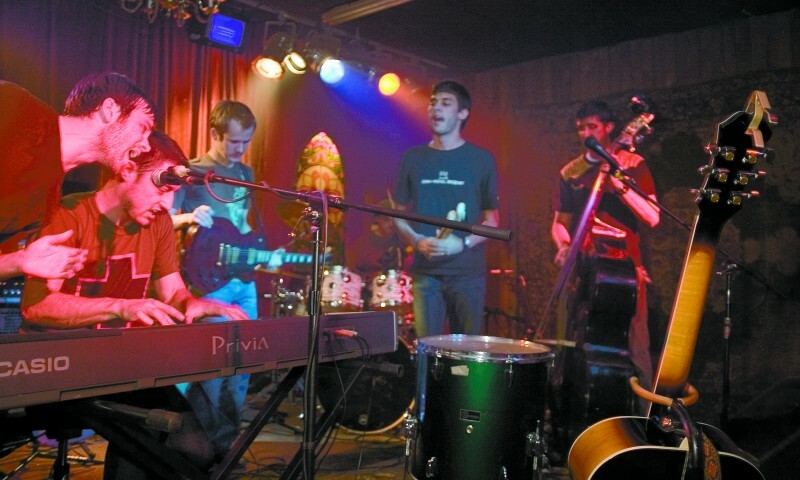 While most of the band’s members weren’t necessarily going out of their way to create an eclectic sound, Brandon McBride sought to become a master of such off-kilter instruments as the cookie sheet, bike bell and accordion to add a unique element to Kid Theodore’s sound. All of the ececlecticism and songwriting talent in the world wouldn’t amount to much without a killer live show and Kid Theodore promises to deliver just that. “We put a lot of energy into our live show,” said Austin McBride, “I really think that’s where a lot of potentially great bands falter, but at our shows we sound exactly like we do on record.” With the members of Kid Theodore jumping from one instrument to another as various band members throw instruments behind their heads and bang kitchen supplies with unmatched fervor, a Kid Theodore show can’t be missed. Due to their dedication to their fans and their music, they’re likely to impress you no matter what kind of music you’re into.